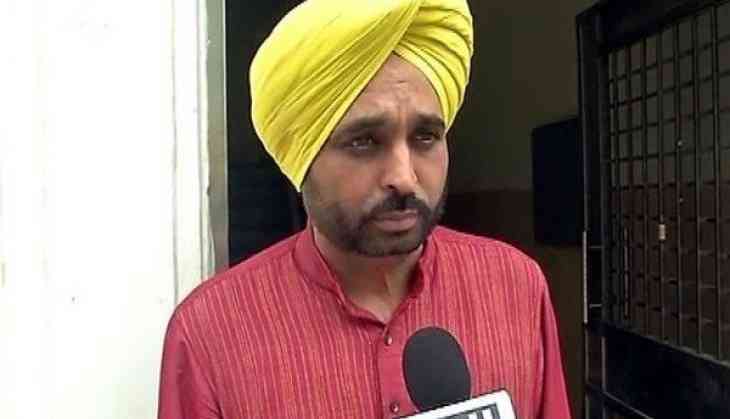 Punjab Aam Aadmi Party (AAP) chief Bhagwant Mann resigned from the state president's post on Friday. His move comes after the party head and Chief Minister of Delhi Arvind Kejriwal issued an apology to former Akali minister Bikram Singh Majithia for accusing the latter of being involved in drug trade. However, Mann took to Twitter assuring that in spite of his resignation, he would continue to fight against corruption as an "Aam Aadmi of Punjab." "I am resigning as a president of AAP Punjab. But my fight against drug mafia and all kinds of corruption in Punjab will continue as an "Aam Aadmi" of Punjab," he tweeted. Earlier, Kejriwal had accused Majithia of being allegedly involved in drug trade.